The success of one-way observations opens up the prospect of laser ranging to far greater distances. Two-way SLR becomes more difficult at greater and greater ranges with signal intensity inversely proportional to the fourth power of the range (R4). However one-way ranging signal intensity only reduces by R2 and this newly developed technique greatly increases the possible laser ranges. A one-way laser range measurement consists of the SLR station recording the time of fire of the laser and the satellite records the time at which it detects the incoming pulse. The difference between these epochs gives the one-way range. The epochs are recorded using two separate atomic clocks and the calibration at the SLR station is more complex than for a two-way range. It requires careful measurement of the delay in every electrical cable and component and the delay in the laser optical path. 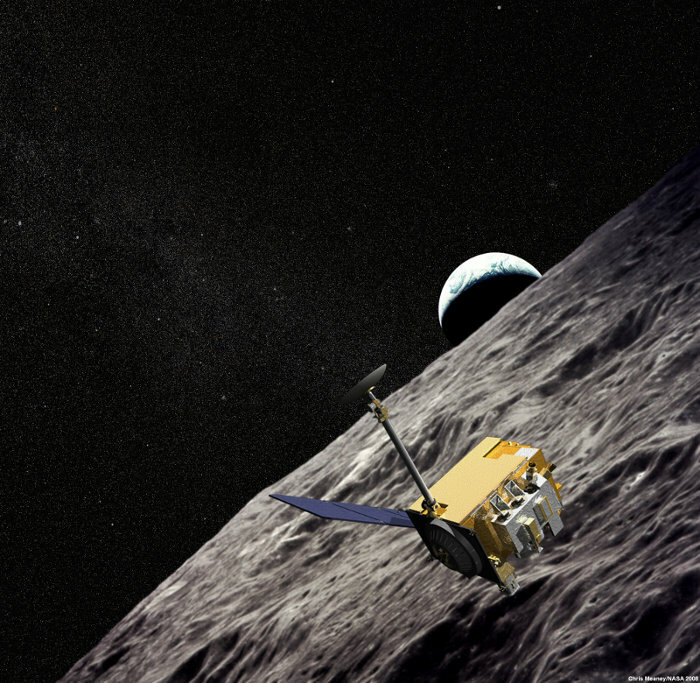 The LRO mission was launched in June 2009 and orbits the lunar surface at a height of approximately 50km. It has since provided day-night temperature maps, a global geodetic grid, measurements of the lunar radiation environment, high resolution colour images and data on the moon's UV albedo. The Moon is approximately 380 000km from the Earth and a great deal more distant than the satellites tracked by the SGF by two-way ranging. The laser ranging data provides relative range measurements to the spacecraft at less than 10cm precision per shot. The SGF synchronises its laser fire so that the pulses arrive at the spacecraft as the LOLA detector is gated, this occurs at a rate of 28Hz, with the SGF firing at 14Hz. The data from the satellite and the stations is collected by NASA and lunar orbits are calculated.